We’ve all been there. You either wake up late or you get in from work late. All you can think about is ‘what’s for dinner’ then *SNAP* the dreaded realisation comes along… You’ve got to wash your hair. If, like me, you see washing your hair as an absolute chore and the thought of a sleek blow dry remains a mere dream, you’ll feel my pain. You know when you’ve gone to bed with wet hair thinking you’ll wake up with a glorious bed head, but it just doesn’t happen? Well now it can, and it’s all thanks to Bumble and bumble. Luckily for us lazy girls, Bumble’s main goal is to keep us looking good. They’ve taken inspiration from the ‘undone chic’ look that was huge on the 2015 runways, while also taking into account our hectic ‘I have zero time to even text back’ schedules, and they’ve created a game changer: Don’t Blow It. Don’t Blow It is a first for Bumble and bumble. The air-drying tool allows you to banish flyways and still achieve voluminous texture without blasting your hair full of hot air. We all suffer from breakage, with years and years of hair dye, over-brushing and heat styling. 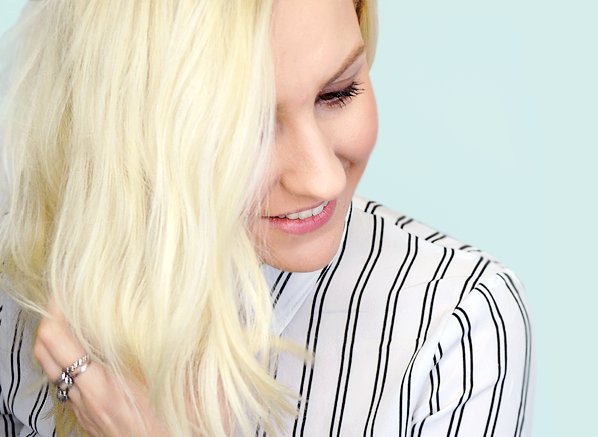 It’s time to give your strands need a break, even if it’s just once a week! 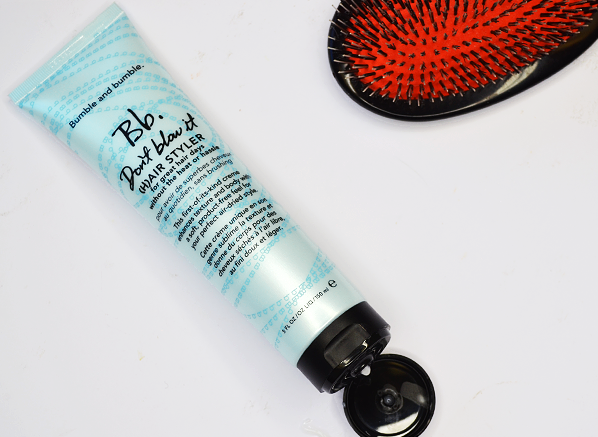 I know the perfect blow dry allows your hair to look polished and refined, but so can this nifty cream, without all of the hard work and the detrimental harm. Suitable for fine to medium hair types, its lightweight texture contains polymers to create and enhance natural texture, which is perfect for a choppy or layered look. As well as de-frizzing your barnet, this plant-based conditioner smoothes your hair without that heavy ‘product-y’ feel. For those avid Apprentice watchers you’ll love the main ingredient, cactus flower extract! More hydrating than argan oil, this quick absorber lets your hair dry with a much smoother finish. Added UVA & UVB filters ensure that this healthy-hair promoter even protects your hair from unwanted sun damage (making for the best holiday hair). And, oh yes – it smells delightful! 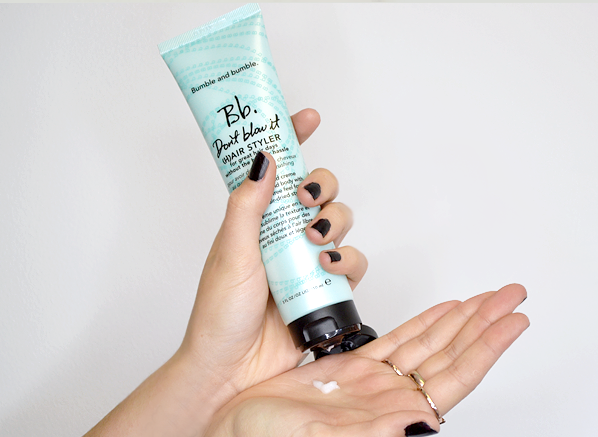 Apply a 50p sized amount into your palms and work through hair from root to tip. Then scrunch, comb or plait your hair to achieve your desired look. It’s a simple as that! 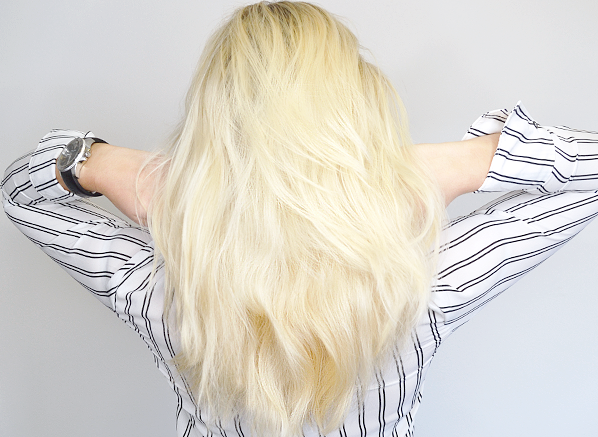 What are your thoughts on swapping your blow dry for an air dry? Tweet us over at @Escentual – we’d love to know! This entry was posted on Tuesday, October 20th, 2015 at 11:23 am and is filed under Get the Look, Haircare. You can follow any responses to this entry through the RSS 2.0 feed. You can skip to the end and leave a response. Pinging is currently not allowed.